Total number of tourists visiting Nepal in 2013 was 7,97,616. Out of them, Nepal Airlines brought 13,523 of tourists, whereas the Indian airlines brought 84,718, which is 6 times more than NA. 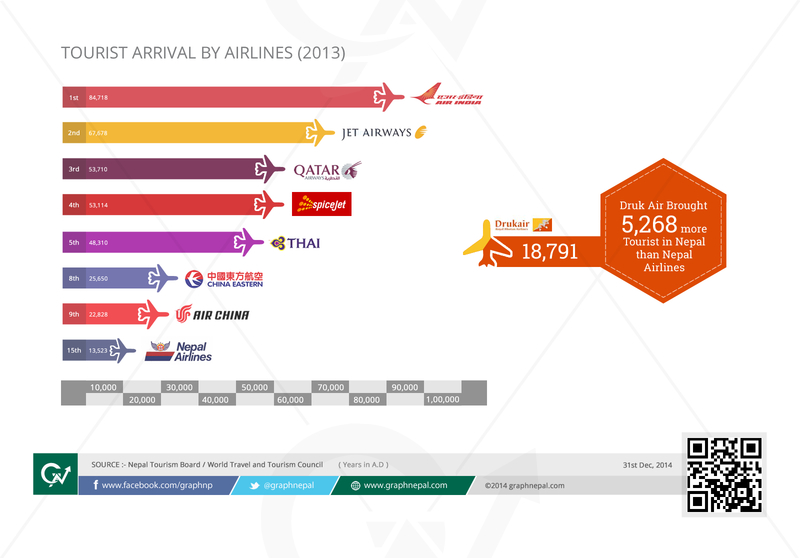 Surprising Druk Air, has brought more tourists to Nepal than NA. 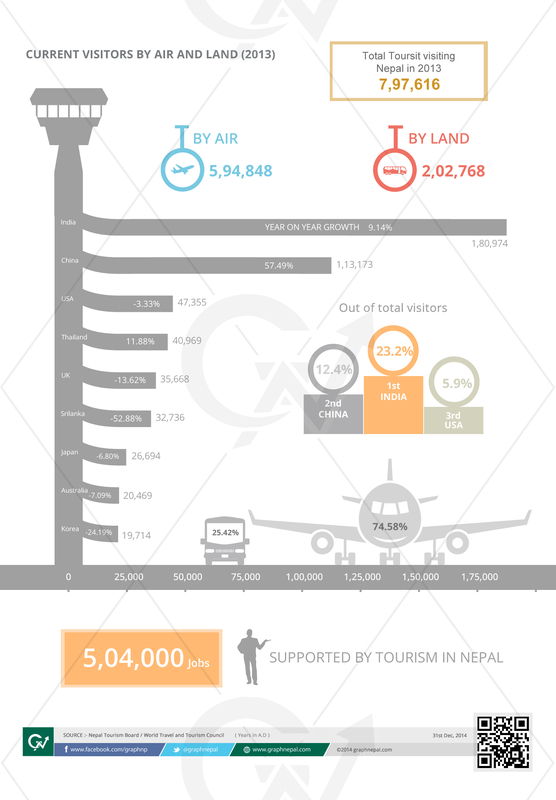 More than 70% tourists visiting Nepal in 2013 arrived by air. 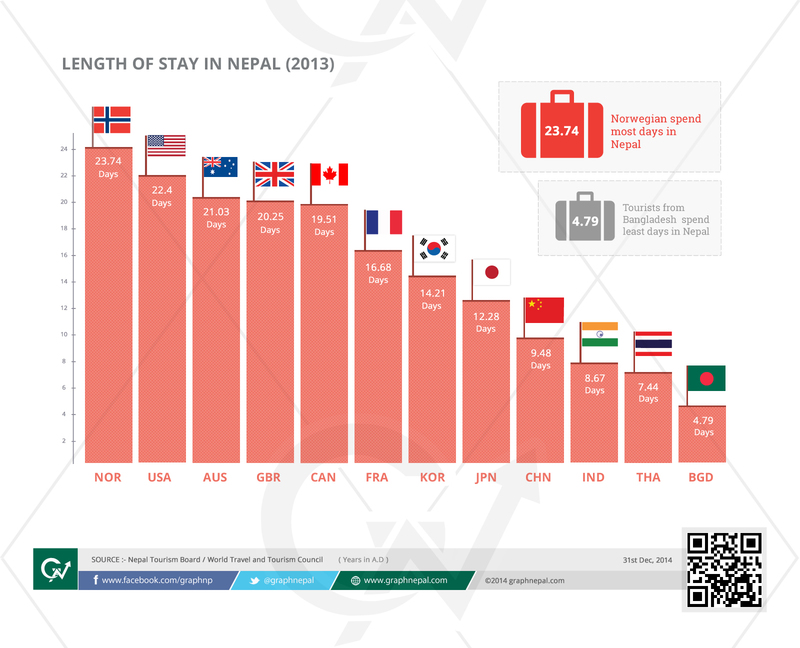 Although tourists from Norway and USA are staying the most in Nepal (more than 22 days on average) , but year on year change of tourists from these countries is seeing negative growth . 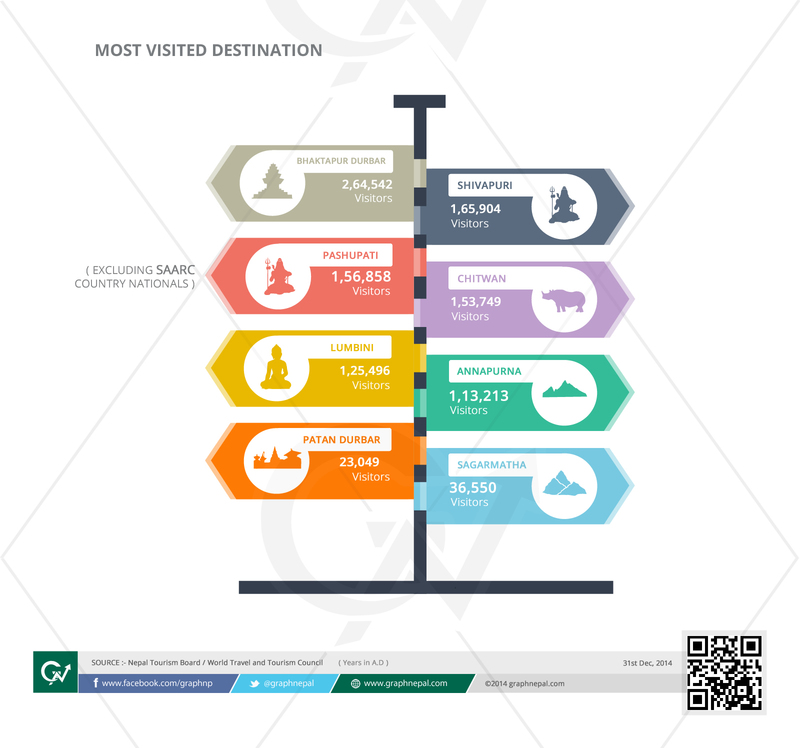 In 2012, 3,280 Tourist of Norway had visited Nepal, but by end of 2013 the number had decresed to 2551. Similarly, in 2012 Tourist from USA 48,985 had visited Nepal and in 2013 the number had reduced to 47,355. Bhaktapur Durbar Square is attracts more tourists than Patan Durbar Square although both places carry similar historical background and monuments. Pashupatinath and Lumbini attract significant number of tourists. The tourism industry of Nepal currently supports almost 5,04,000 jobs.